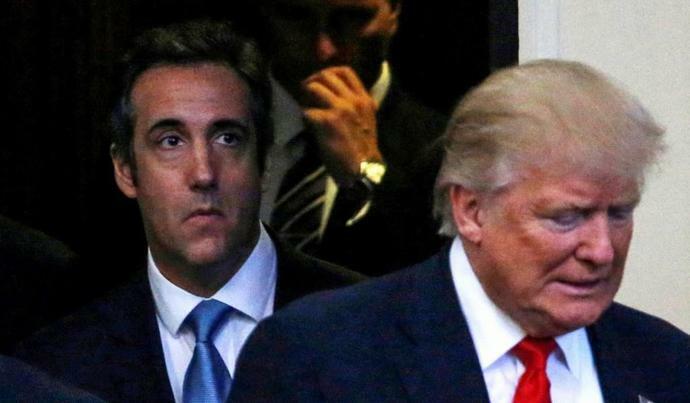 President Donald Trump instructed his longtime personal attorney Michael Cohen to lie to Congress about plans to build a Trump Tower in Moscow in order to conceal his own involvement in those discussions, Buzzfeed News reported Thursday night, citing two federal law enforcement officials familiar with the matter. Cohen pleaded guilty in November to lying to Congress about when discussions regarding the Moscow development concluded. After initially testifying that the discussions ended in January 2016, Cohen admitted in a two-page memo to the House and Senate Intelligence Committees that the planning continued until at least June 2016, and involved Trump personally. Special counsel Robert Mueller's investigators first learned that Trump directed Cohen to lie through a series of emails and other communications. Asked about the communications by investigators, Cohen confirmed that he was following Trump's instruction when he lied to Congress in his initial testimony. Trump repeatedly claimed while campaigning that he did not have any business dealings in Russia but he reportedly endorsed Cohen's plan for him to travel to Russia in July 2016, following the Republican National Convention, to meet with Russian President Vladimir Putin to discuss the construction of a Moscow Trump Tower. Then-candidate Trump was also reportedly aware at the time that Cohen was in contact with multiple senior Russian government officials involved in the planning. Trump's children were also heavily involved in the planning and would receive regular updates from Cohen on the status of negotiations. Following Cohen's guilty plea in November, Trump defended his continued ongoing involvement in Moscow Trump Tower discussions during the campaign. "There was a good chance that I wouldn't have won, in which case I would have gotten back into the business, and why should I lose lots of opportunities?" he told reporters. Trump's directing Cohen to mislead Congress is the first example provided in the course of Mueller's two-year investigation of the president's direct involvement in suborning perjury - a development that will likely bolster his opponents calls for impeachment.